Film franchises are subject to the law of diminishing returns. If a sequel is sub-par compared to the original, it's very unlikely that any third instalment could redress the balance, let alone be the best film in the series. Even if a sequel turns out to be good, or even slightly better than the original, the third instalment of a trilogy is so often the weakest film - Army of Darkness and Mad Max 3 being very good examples. Indiana Jones and the Last Crusade would therefore seem like a lost cause. Not only is it following a sequel which dropped the ball (Temple of Doom), but it comes five years after Harrison Ford last wore the fedora. In that time Steven Spielberg had attempted to branch out into more 'serious' dramatic work with The Colour Purple and Empire of the Sun; any return would have a tinge of reluctance to it. 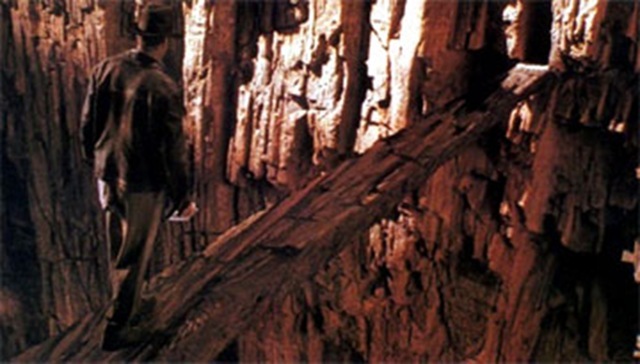 But once you look beyond the reputation of threequels or the long production process, you are left with an astonishingly good film, which refines everything that made Raiders of the Lost Ark great and brings a whole lot of new things to the table. Forget Jaws, forget Raiders, forget anything else: this is Spielberg at his absolute best. The move back to the territory of Raiders is a very conscious one. 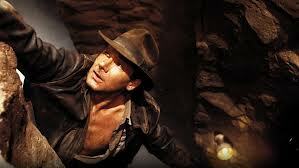 Spielberg said that he wanted to make a film that reminded both him and the audience of why they fell in love with Indy in the first place. Not only is the tone much more light-hearted and the plot more quest-driven, but the opening sequence plays through almost the exact same beats of the opening to Raiders. We begin with the Paramount logo over an actual mountain, before tracking towards men walking through a deserted area and Indiana going into a place where he isn't supposed to be. There is the enigmatic reveal of the man in the hat (not Indy on this occasion), followed by the unveiling of a valuable object and an elaborate chase. The way I've described this opening, you might be quick to pass off Last Crusade as a desperate rip-off of the original. 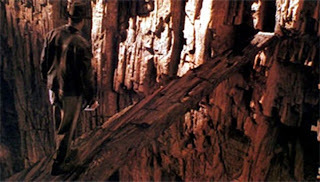 In fact, the film takes everything that Raiders got right and makes it that little bit better. The jokes are funnier, the pacing is faster, the interaction between the characters is a little more complex, and surprisingly there is more depth to the story. This film is the perfect example of how popcorn films can be made with both brains and heart; not only can they be slick and efficient in their execution, but they can make you really feel for the characters in a way that brings out the substance of the story. Much of the substance takes the form of the mythology of the Holy Grail. It's still ultimately very silly - the Holy Grail has about as much to do with Christianity as flaming sacrifices have to do with Hinduism. But as with Raiders, the mythology is watertight enough so that the themes surrounding the Grail come out while working as a plot device. You can still view the Grail and the diary as McGuffins if you want to, but the film is more intelligent than Raiders in its connection of plot and theme, always inviting you to read more in without demanding it at the expense of the action. Each of the themes that emerge finds the history of the Grail and its keepers matching up with the present circumstances of the characters. Henry Jones Sr. has devoted his entire life to the pursuit and discovery of the Grail, just as the knights and the holy order have dedicated their lives to protecting it. Both Indiana and the Nazis are more active and opportunistic in their approach, but they make very different moral choices which ultimately determine their fate. While Donovan and Elsa are ultimately greedy, believing in the Grail only for the sake of acquiring its power, Indiana truly makes a leap of faith, respecting its power and acknowledging his own humble status. Last Crusade, like many of Spielberg's films, is about sons trying to reconcile with their fathers (and vice versa). As before the script ties up the central relationship with the mythology of the Grail, giving the interplay between father and son a great deal of weight, and in turn making the stakes seem higher once we have invested in them. 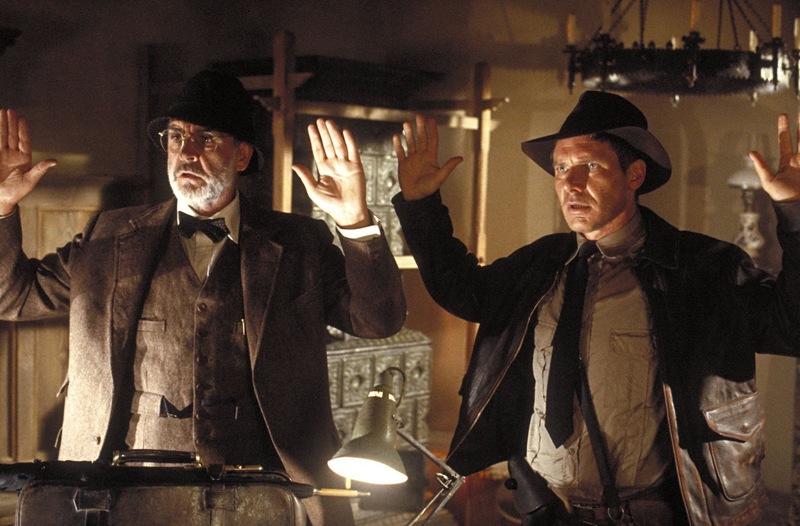 Both Temple of Doom and Last Crusade attempt to flesh out Indy by taking us back before the events of Raiders, but Last Crusade is far more effective in showing how all his little tics, fears and attributes came about. As a result of the opening, Indiana's motivation shifts from a slightly more principled form of thrill-seeking to an attempt to either win approval from or spite his parents. The differences between father and son in approach are ultimately outweighed by their similarity of moral belief and passions - right down to falling for the same woman. Their relationship reflects the distance between God and Man, with Man searching for power and approval from other sources, and ultimately reconciling through an admission of the father's greatness and a mutual expression of love. 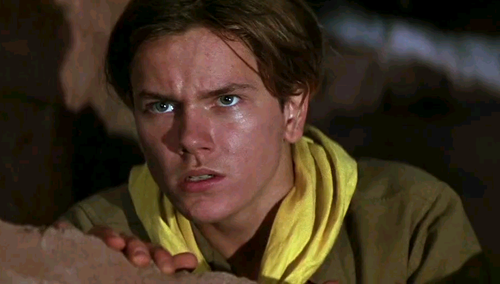 As silly as it might seem in what is essentially a big-budget B-movie, the relationship between Henry Jones and 'Junior' is really quite powerful. A lot of the film's appeal in this regard comes from the brilliant performance of Sean Connery. Early on in the production Connery said to Lucas and Spielberg: "Listen, I'm [Indy's] father. Whatever he's done, I did it first, and I did it better." By all accounts he brought a lot of ideas to the production about set-pieces and character, and the film crackles and sparks whenever he and Ford are playing off each other. Despite being only 12 years older than Ford, Connery carries himself brilliantly, with just the right balance between doddery incompetence and surprising ingenuity. It's arguably Connery's best work since Bond, and perhaps his last truly great performance. 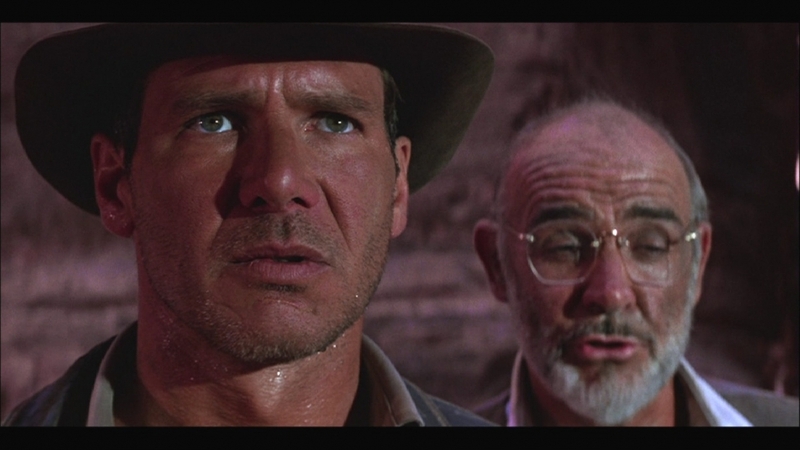 The supporting cast of Last Crusade are also fantastic. Denholm Elliott's role shifts from a father or mentor figure in Raiders to cosseted comic relief; there's a great deal of natural comedy that emerges from putting a man who "got lost in his own museum" in such great amounts of peril. Julian Glover, who got the role through his appearance in The Empire Strikes Back, is a perfect fit for Walter Donovan, with the suave, well-dressed and well-spoken exterior disguising a dark, ruthless heart. 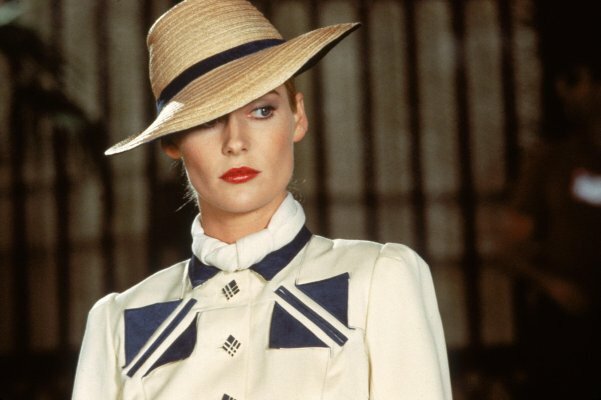 And Alison Doody is very good as Elsa Schneider; while her character isn't as resourceful as Marian Ravenwood, she makes Elsa appealingly conflicted; we know what side she's on, and yet we keep asking questions about where her loyalty truly lies. One of the biggest boons of Last Crusade is its humour. In Temple of Doom the warmer, more playful scenes only came in short spurts - for instance, the bedroom scenes with Indy and Willie playing mind games with each other. In this film the jokes flow freely, with each and every scene either containing witty dialogue or a great physical gag. Not only is the film edited far better than Temple of Doom (at least in terms of pacing), but the humour compliments and adds to the characterisation, rather than serving as a welcome break from uninviting imagery. There is no better example of this than when Indy runs into Hitler with the grail diary: the Fuhrer has the key to great power in his grasp, but he mistakes it for an autograph book, signs it and moves on. 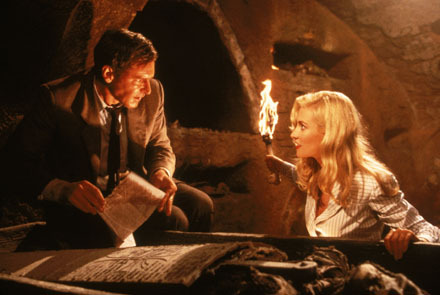 Even if all you cared about was the action set-pieces, Last Crusade delivers them in spades. There are so many great scenes to choose from, with each action scene lasting for just the right amount of time, serving the plot while being memorable in its own right. The tank chase is particularly brilliant, with Spielberg using every possible camera angle to wring the most of one massive prop. The fights are inventive, the editing is superb, and John Williams' music is (no pun intended) note-perfect throughout. It's one of the best scenes in the whole series, and considering how high the bar was set by the Raiders truck chase, that's saying something. 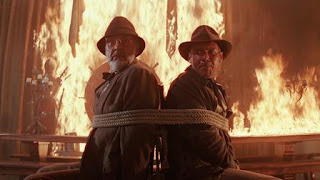 Indiana Jones and the Last Crusade is a brilliant and breathless masterpiece which takes the crown hands down as the best film in the Indy series. It has all the strengths of Raiders with none of the flaws of Temple of Doom, refining everything that has gone before and then throwing in a great deal more humour and heart. Whether you're looking for sentimentality with substance or just two hours of popcorn fun, you'll struggle to be disappointed by this expertly-crafted thrill-ride. It is one of the greatest films of the 1980s and the best film of Spielberg's career. 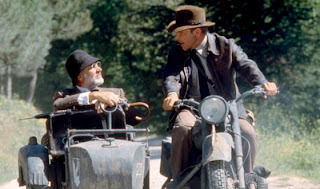 I was always worried I was the only one who loved The Last Crusade... I find it so strange that my favorite film in the franchise should be the one which got panned by critics. How can the addition of Sean Connery diminish ANY film. I don't recall it being panned exactly, but nice to find someone else who loves it as much as me. And you're right, having Connery never diminishes a film.